A resolution appointing Brenda Mossbarger as acting Fayette County Auditor was approved recently during the county commissioners’ meeting. 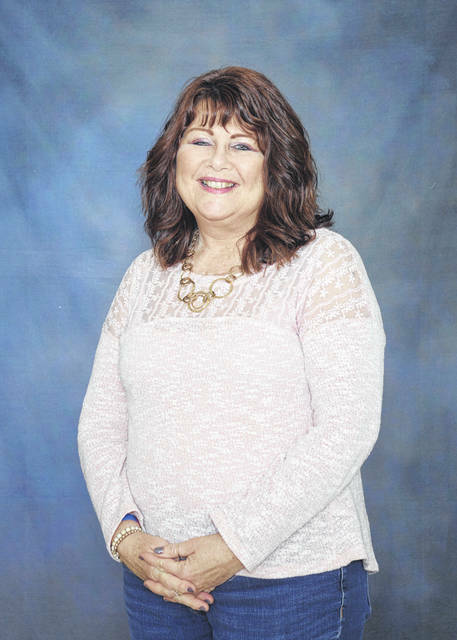 After spending 20 years as an employee at the Fayette County Auditor’s Office, Mossbarger will return to put her skills to the test as full-time auditor. This appointment comes early as the previous auditor, Aaron Coole, resigned Jan. 7, though his term would have ended on March 10. In case of such vacancy, the commissioners may appoint an acting officer to perform the duties between that time and when an appointee takes office. In this case, Mossbarger — the Fayette County native and Miami Trace High School graduate — won the primary election in May of 2018 against incumbent Coole, and would have taken office at the end of his term on March 10. Therefore, it was moved by commissioner Dan Dean and seconded by commissioner Jim Garland to appoint Mossbarger before being unanimously approved by the board. Additionally during the meeting, the commissioners appointed Kyle Montgomery to the Fayette County Rural Zoning Commission through June 1, 2020. This was done to fill the unexpired term of commissioner Garland, and was unanimously approved. The commissioners also approved a resolution authorizing Fayette County Sanitary Engineer Steve Luebbe to accept additional engineering services with Burgess & Niple, Inc. — out of Columbus — related to the Fayette County Construction and Demolition Debris Landfill. Burgess & Niple, Inc. will modify the detail design plans and specifications to meet the owner’s needs. Finally, the commissioners also met with the Fayette County Land Bank Board of Directors. During the meeting Dean moved to accept the resignation of board member Coole, and authorized the administrator to apply for up to $25,000 from the Ohio Housing Financing Agency (OHFA). These funds will cover the demolition of the dwelling at 406 and 408 S. Main St. in Washington Court House, and the chairman is authorized to sign documentation as required. Both motions were approved by the board of directors. The next meeting will be Monday, Jan. 28 at 10:30 a.m. in the fourth floor conference room of the county administration building.